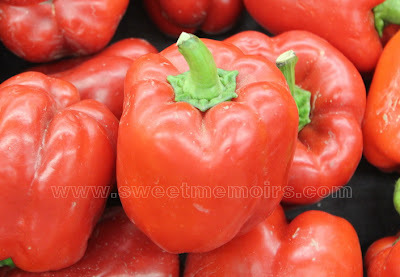 I used Photobucket's Color Splash to highlight and Photoshop's healing brush to remove the white spots in the red pepper. something that I still have to learn doing Che, it is nice to know so many of you in TSS can teach me how to edit and make more dramatic photos to art. Color splash indeed!! Isn't if fun to experiment and use your talents in a photo program!!?!!! Love photos with accent color. nice love the color picker.. Very pretty, love the bright red color!